What does the word unicorn mean to you? Unicorns abound in popular culture, oftentimes as symbolizing little girls, imagination, or fantasy land. For many people, the unicorn carries connotations of femininity and even silliness. 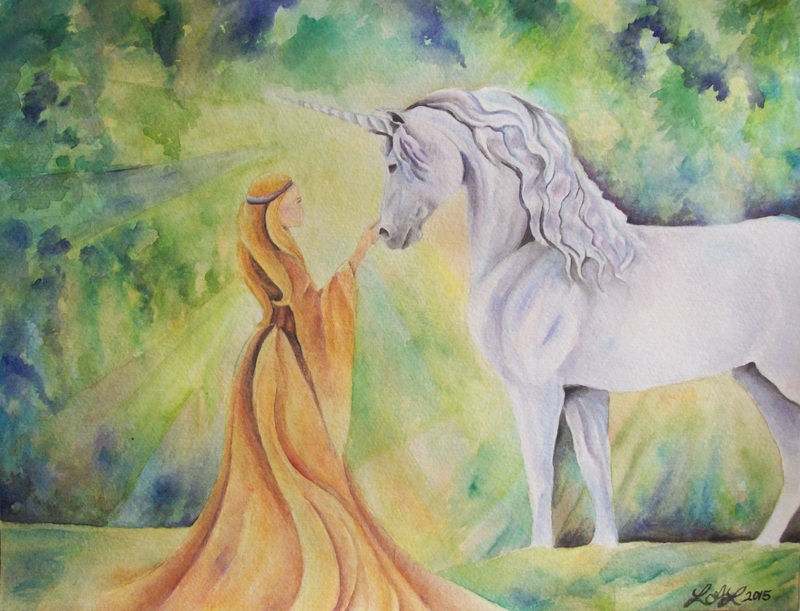 Ancient legends see the unicorn as a symbol of purity. He is shy. He lives in the deepest reaches of the forest and will only allow himself to be seen or handled by a gentle maiden. Sometimes he has the power to purify polluted water with the touch of his horn. To me, the unicorn represents the soul of nature, and also the soul of horses. His body is large and powerful, but his spirit is noble, wise, and gentle. He will only show his true self to a person that is calm, honest, and does not wish to make use of him. He is to be appreciated, not to be owned. If you are luck enough to see this unicorn, it is a blessing to be cherished. Tell me in the comments, what does the unicorn mean to you?